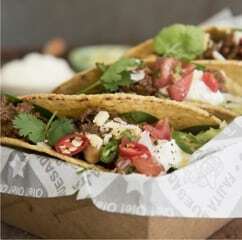 Senor Onion Mexican Deli offers a Tex Mex style menu. 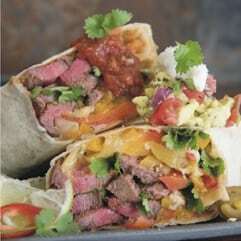 We do market, events, corporate and private catering as well a food truck soon to be launched. We also have two shops in the Helderberg area – Somerset West and Stellenbosch. Whilst the emphasis is on takeaway, we also offer a casual sit down. 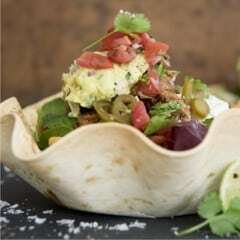 We manufacture out own hot pressed tortillas/ wraps at our premises in Somerset West, which we distribute to retail and local restaurants and businesses. These are also available for purchase at our stall. 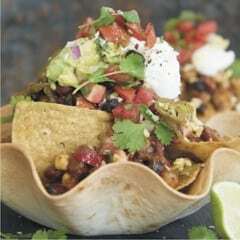 We also produce baked tortilla baskets, which we use in our signature nachos basket at the market. We cater for vegetarians, vegans and have gluten free options available. We make everything ourselves and most dishes come in a choice of chicken, chilli con carne, beans or steak. All dishes are mild to begin with, but we can offer medium, hot or wild as well.